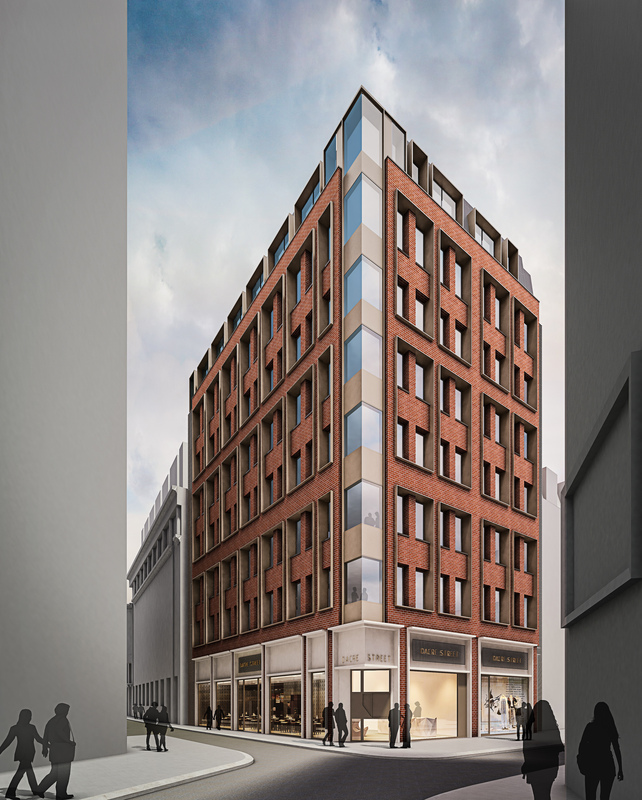 Arbrook Land, has successfully obtained planning consent for the comprehensive redevelopment of Dacre House, 19 Dacre Street, London SW1, which was acquired in 2016 for £17.65m. The redevelopment, designed by award winning architects Darling Associates, extends the building within an existing rear lightwell and adds an additional two storeys. The new seven storey building with a contemporary brick facade will provide 20,000sqft of office accommodation and two new retail units of 4,650sqft. The development will commence on expiry of the existing leases in January 2020 and will complete simultaneously with the completion of the Ten Broadway scheme on the former New Scotland Yard site opposite. Tim Stotesbury, Director at Arbrook Land, said “This boutique office and retail scheme when completed will provide some of the best 3,000 sqft floors in the West end with landscaped terraces, good views and excellent natural light from three elevations”.